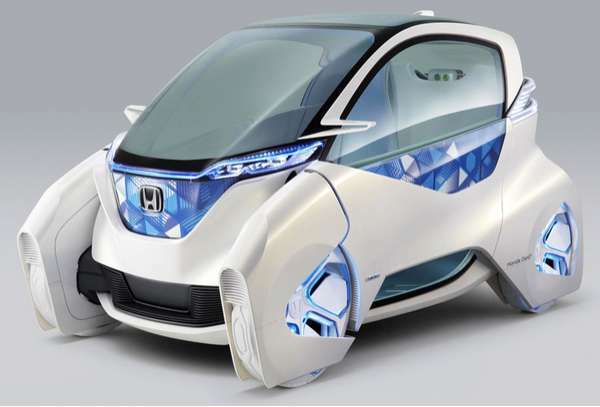 The Honda Micro-Commuter concept car was the star of this year's Tokyo Motor Show. 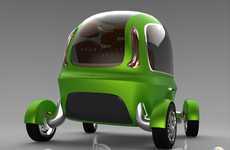 The urban dweller vehicle runs on electricity and is designed with both technology and aesthetics in mind. 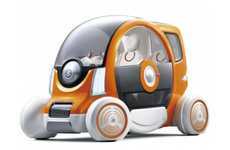 The 8' by 4'1" concept car comfortably seats three and offers drivers a maximum speed of 60 km/h. The vehicle's space-age design features an interactive and smartphone-compatible dashboard complete with joystick levers. 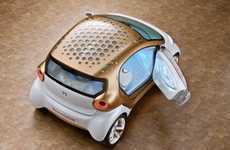 The car's many functions can be accessed and controlled with your smartphone. 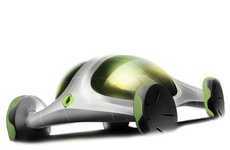 The car contains a rechargeable loop battery that efficiently powers its systems and functions. The groundbreaking battery can be removed and reused to power personal electronics making it a highly intelligent design. 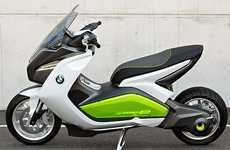 While this car is based on a functional concept, its dynamic and sleek aesthetic make it distinctive and modern.